Asparagus Lasagna with Basil Spinach Pesto Cream Sauce! You are here: Home / Recipes / Dinner / Asparagus Lasagna with Basil Spinach Pesto Cream Sauce! That title is a mouthful, isn’t it? But what do I leave out? 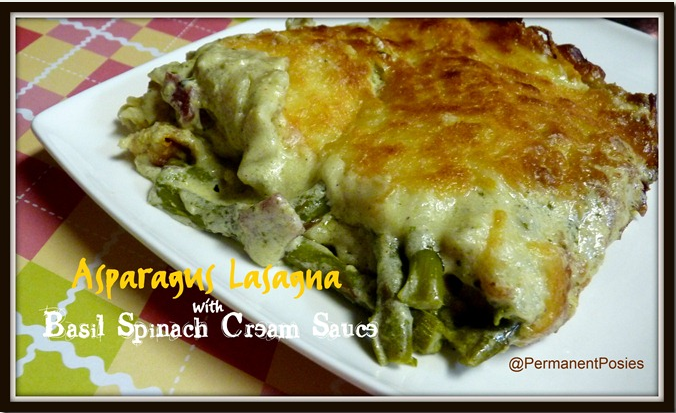 I had seen the Asparagus Lasagna on Galley Kitchen but couldn’t find it again when I went to make this. I realized later that I had pinned it. So, this is my made up recipe. I made it in a square baker and it was so good and so rich. We made it the whole meal. No salad….nothing. 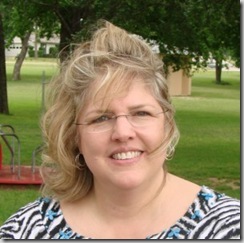 Of course, this was before I started Weight Watchers……cause trust me, I am not sure I would want to count the points. Check out my Basil Spinach Pesto Cream Sauce from last Monday. I used that for the sauce. I am not saying this is a particularly quickly made dish. If you have your pesto already made and in the freezer, this will go faster. Make a batch of Basil Spinach Cream Sauce that I posted last week for Tuesday’s Tasty Tidbits.